Magento and our other e-commerce technologies set the benchmark in digital commerce. More than software, more than a solution: Magento combines high flexibility, state-of-the-art technologies, perfect scalability, experience from 250,000 merchant platforms, and the world’s largest ecosystem. All this makes Magento the best commerce system on the market. Since its launch in 2008, Magento has always maintained its role as a pioneer. Today, it is the market-leading system and the benchmark in digital commerce. netz98 has been a Magento partner since the beginning and is part of the Magento ecosystem. We have supported this evolution right from the start – including with our own development services. In almost every Magento store, there is therefore also a piece of netz98. With Magento, we offer you the perfect solution for success in e-commerce. Magento has the most modern software architecture on the market and provides you with all relevant commerce functions out-of-the-box. 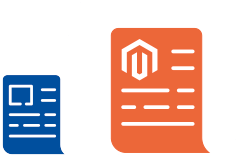 Highly modular and flexible, Magento platforms are quickly and cost-effectively adaptable to your specific requirements. For even more efficient use in the B2B environment, Magento has further perfected its Commerce Edition (formerly Enterprise Edition). The Magento Digital Commerce Cloud for B2B enables companies to map out even complex B2B e-commerce requirements out-of-the-box – such as hierarchical corporate accounts, quick orders, or requests for quotes. 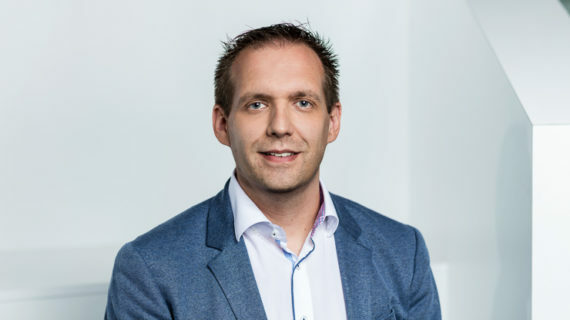 Magento already has high connectivity thanks to its modularity and versatile WebAPI. With Magento integration modules we developed ourselves, such as our SAP Connector, we provide further increase in the integration capabilities – and for maximum performance of your commerce infrastructure. The Magento SaaS solution allows you to scale your e-business without worry. Magento makes its Commerce Edition available in an optimized Amazon cloud as well – for high availability and agile-scaling e-commerce. In a turbulent market environment, Magento Commerce allows you to focus on the essentials. Magento’s omnichannel solution allows you to manage information across your channels. Magento Order Management (MOM) offers a comprehensive range of functions for order management, omnichannel fulfillment, inventory management, payment and risk management, as well as reporting and analytics. As an e-commerce operator, Magento Business Intelligence provides you with an integral view of your users and their customer lifetime value. As a cloud solution, Magento BI can be integrated into your existing platform quickly and easily and consolidates a wide variety of data sources in a central location. Magento BI is the solution for your data-driven e-commerce.